It was just a few days to Christmas… The last week of the working year is always kind of busy, but for this time we had a different project in mind then sitting in the office waiting for the year to end. 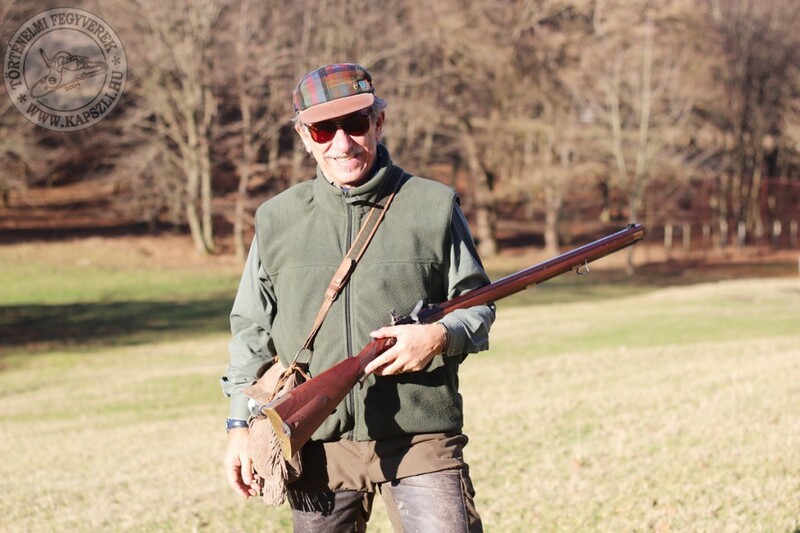 This was not the first time to hunt together with Pierangelo Pedersoli and his son, Paolo here in Hungary. Each year we managed to organize a short driven pheasant and jack rabbit hunt with my friends, but this year’s hunt was a special occasion. 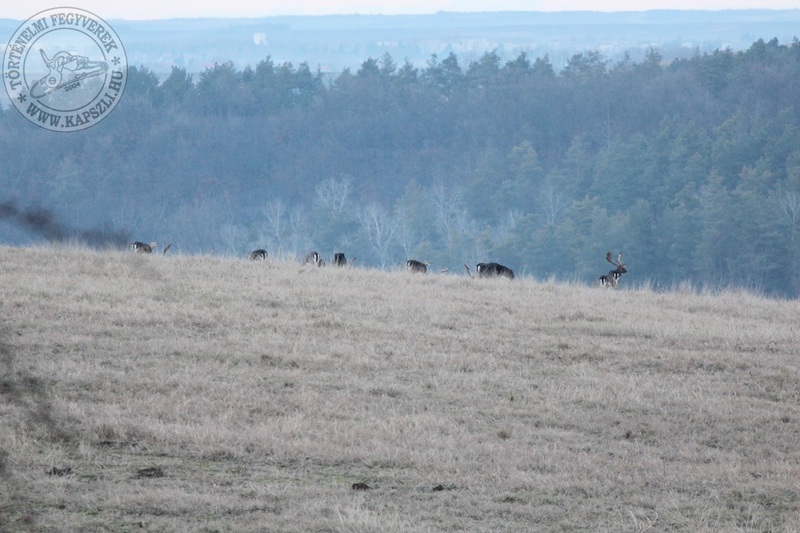 We’ve been working on the legislation of muzzle loading hunting in Hungary for more than a decade now. It was not an easy task. In fact it was quite a slow process, but successful indeed. In many cases we worked together with the Pedersoli company. Pierangelo was always very helpful presenting necessary firearms and ballistics data, helping the project with competent knowledge, helpful ideas. 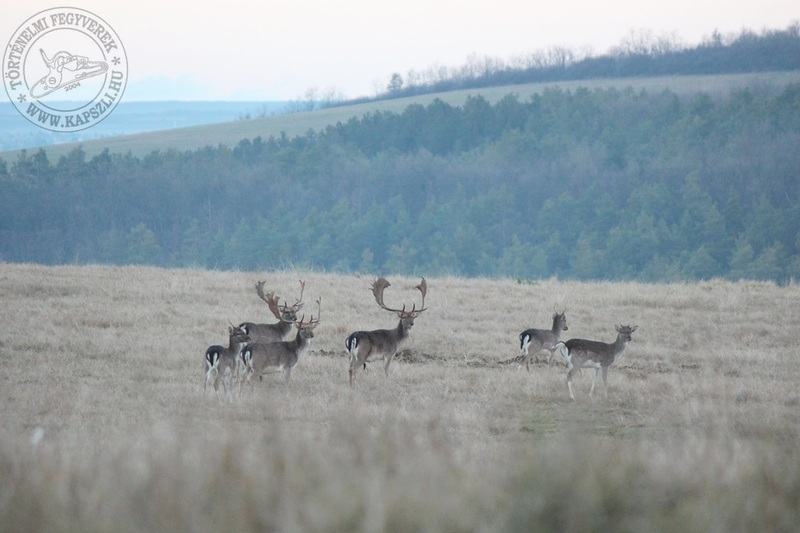 The project took off and broke the strong barriers of state administration: the Hungarian authorities recognised this project as an ethical and traditional hunting method to be supported as it clearly adds value to the hunting culture and economy of the country. Last year we received a special permit to hunt in a 350 hectare territory in the north of the country but this year we went a giant step forward. 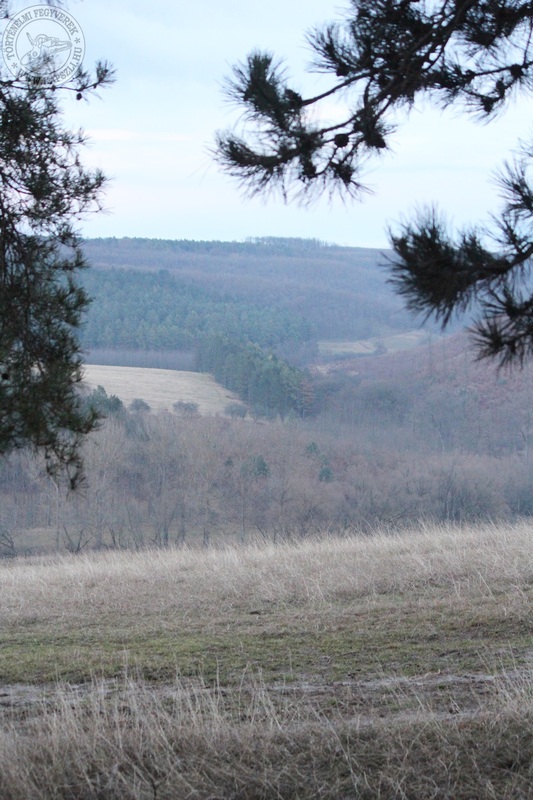 This year’s black powder hunting permission was granted for one of the very best Hungarian hunting grounds, the 7600 hectares open territory of the Gyulaj Forestry and Hunting Co. This area is a very special place. 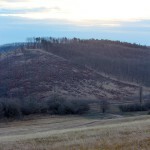 It played an important part in the hunting culture and economy of Hungary for centuries. 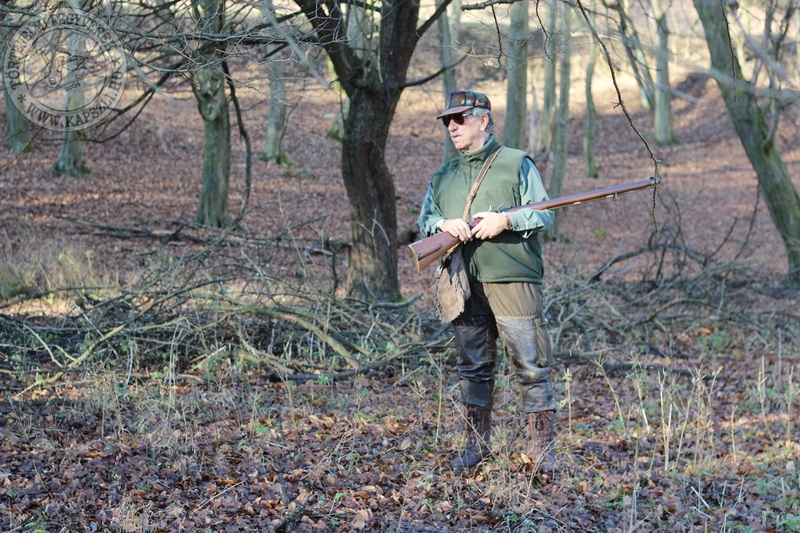 The leadership of the area always took good care of the game which is now recognised with many high CIC point fallow deer buck and wild boar trophies. But it is not just about the size of the trophy. 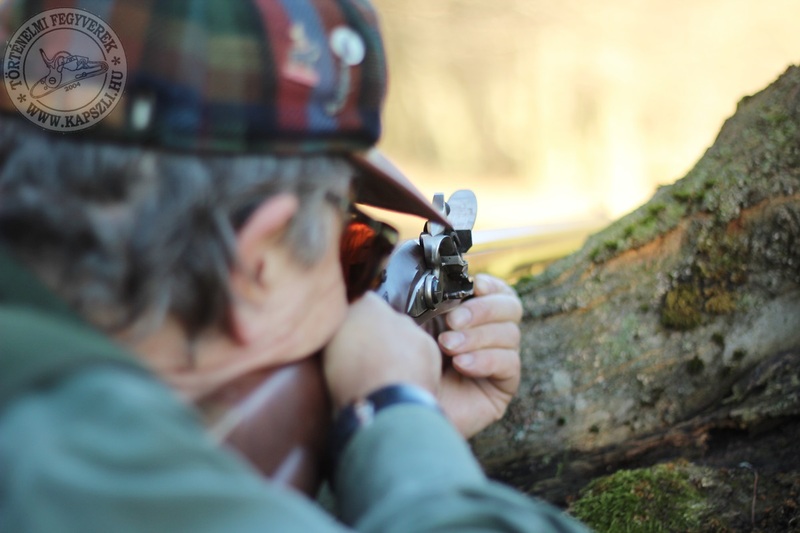 It is about the adventure that this area can offer to the hunters choosing a more traditional tool like the muzzle loading rifles or even the bow. The state owned company supports many new projects. Just as an example, let me draw your attention the hunting possibility they offer for hunters living in wheel chairs. Not a common offer for sure. 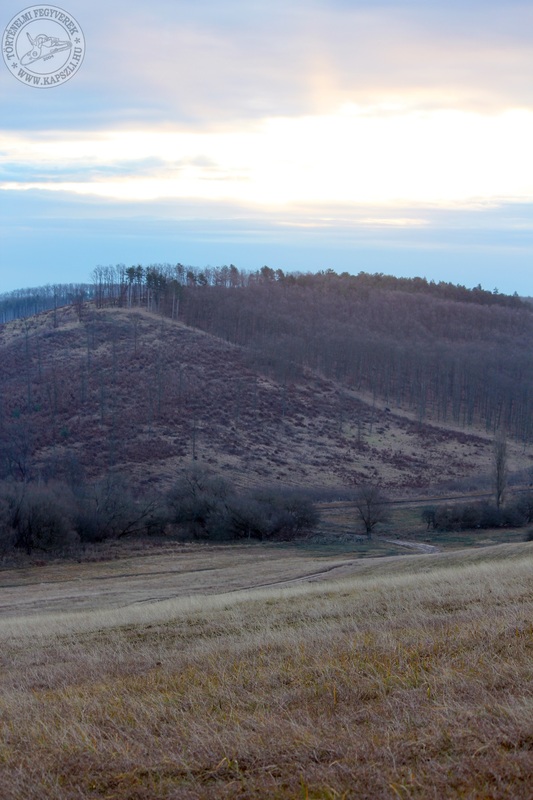 The area itself is quite diverse with dense woods, beautiful hills, excellent, friendly hunting lodges, and high quality professional staff. 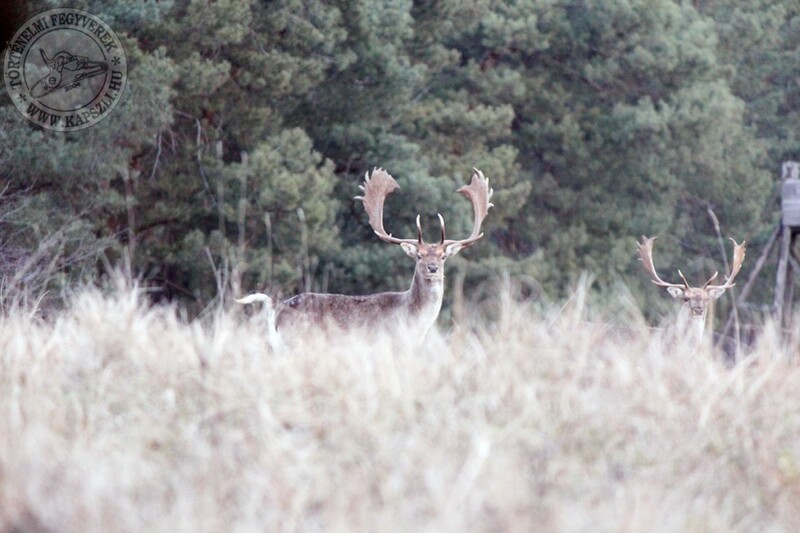 The main game is the fallow deer, but they also have a huge population of wild boars, so the area offers many adventures of the black powder hunter. Let’s get back to the Pedersolis now. So it was a special occasion indeed, because after so many years of talking, it was time to grab those smoke poles and go into the woods together to hunt some big game for the Christmas table, and for the joy of black powder hunting. So 4 Pedersolis were arriving after all: father and son, and of course two Pedersoli muzzle loading rifles. I picked them up at the airport with my 3 door 4×4. We were loaded with staff for sure: with 3 rifles and all the accessories and we also had my Hanoverian blood hound in the back as well. It was already dark when we arrived to the hunting lodge. 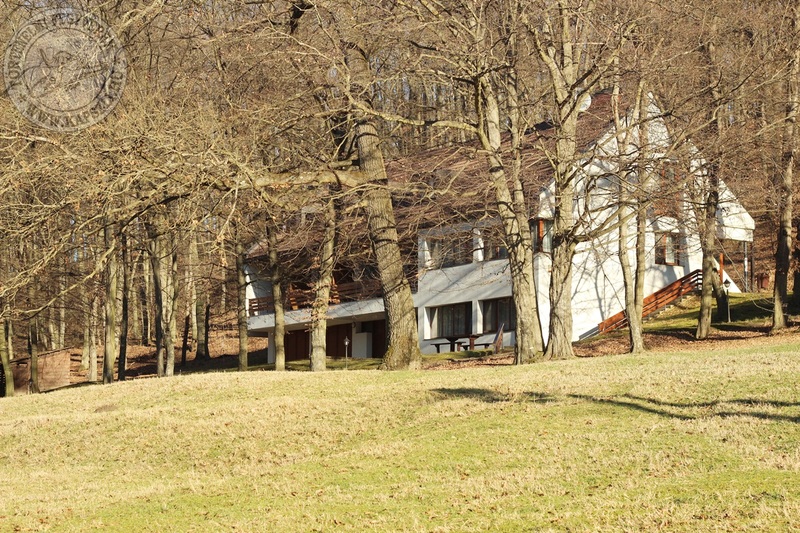 It is only 2 hours’ drive from the airport mainly on highways. After an excellent dinner and some good Hungarian dry red wine it was time to discuss the next two days plan. At this period of the year the sun wakes up at 6:30 and goes down at 4:30 so it is quite comfortable organize a good timetable. 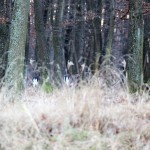 We are not hunters with night visions or thermal imaging devices, so if the sun goes down the hunt is over for that day. But this is how it should be in my opinion. Our weather was quite strange for the season. 10 Celsius and warm sun. Like in spring time. But the winter cold was close. According to the weather forecast the snow was coming that the game already felt, it was moving all day long. Let’s see now what armoury we were preparing for the short trip. Pierangelo chose to take one of his ML Rolling block rifles. 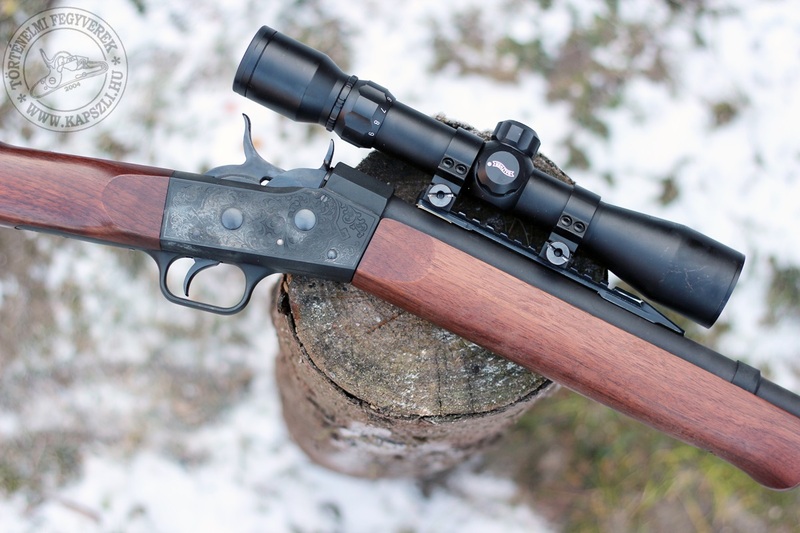 This rifle has a fast twist .50 cal bore with magnum powder chamber. 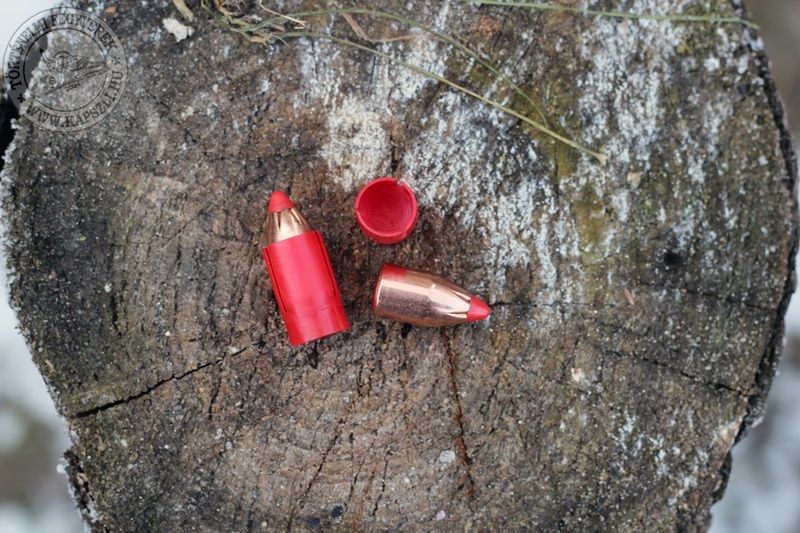 The maximum load is 150 grains of 3F powder, enough for any big game in my country. 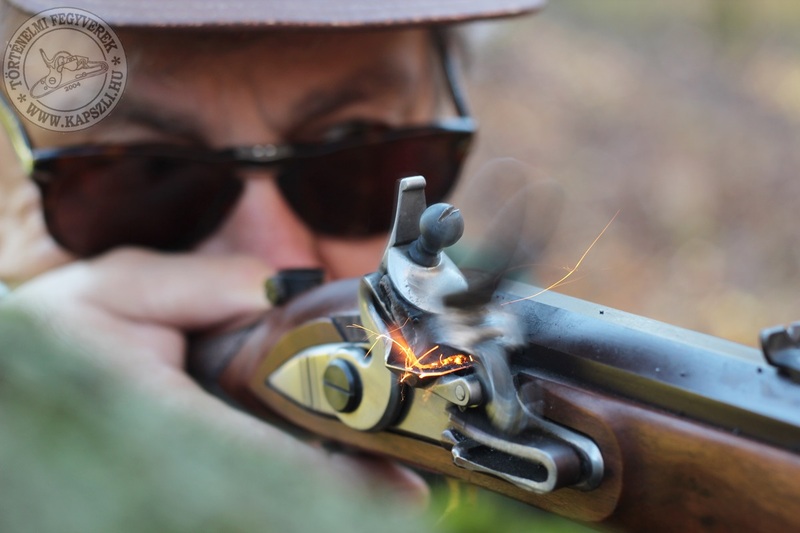 The other advantage of the rifle is its capability to shoot bullets with plastic sabot, something that eliminates nearly all the differences between the terminal effect of the modern hunting ammo and the bullet fired from a muzzleloader. 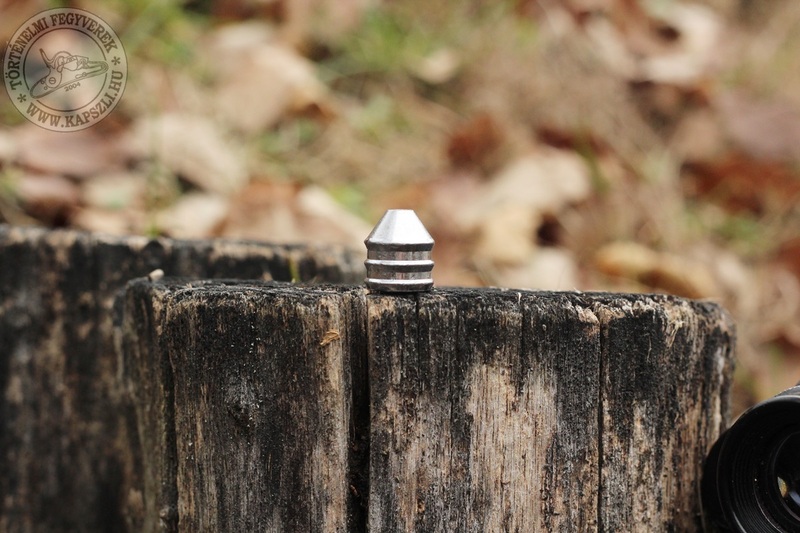 Technically a 45/70 hunting bullet is inserted into the plastic sabot that is propelled with cca 700 m/s muzzle velocity with a load of 100 grains 3Fg Swiss powder. This setup has a flat trajectory, and lets you shoot up to 100 meters without altering the point of aim. 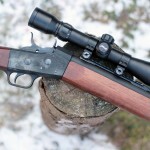 These rifles are cheap but they still offer excellent hunting and shooting capabilities up to the usual Pedersoli standards. 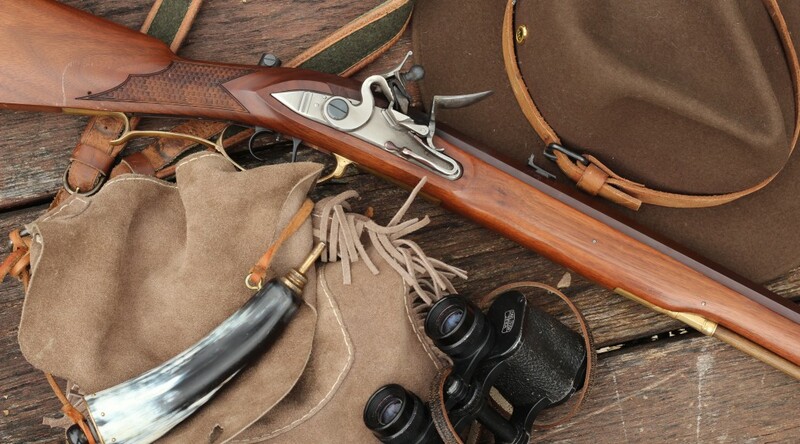 The other rifle I took for Pierangelo was my flintlock .54 cal Pedersoli Jäger with a traditional setup. 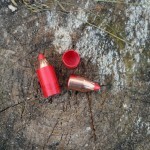 The load was 100 grains of 2Fg Swiss powder and a 320 grain Lee REAL bullet. The slow twist Jäger shoots the REAL bullets well but it is basically designed for round balls. If you like the design but you prefer a shorter version you can also choose the Jäger Hunter with a shorter fast twist barrel. This later one will offer you the sabot load option as well. This setup also proved effective. I did harvest big game with this rifle in distances between 30-80 meters. Over this distance the bullet drop is significant, so I usually limit my shooting to maximum 80 meters. 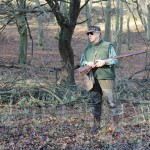 For Paolo I brought my original ML hunting rifle manufactured in the 19th century in south Germany by Miller Fa Baader. This is a .58 cal well balanced hunting rifle with set triggers, peep sight and a quite fast twist rate, shooting a compression style bullet. Its load was 95 grains of 3F Swiss powder. The energy and killing power is enough, but the trajectory is more curved limiting the effective distance. 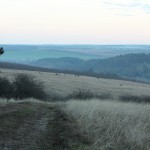 So it was 6 o’clock in the morning when we left the hunting lodge. I know that Pierangelo and Paolo are never after the easy hunt. 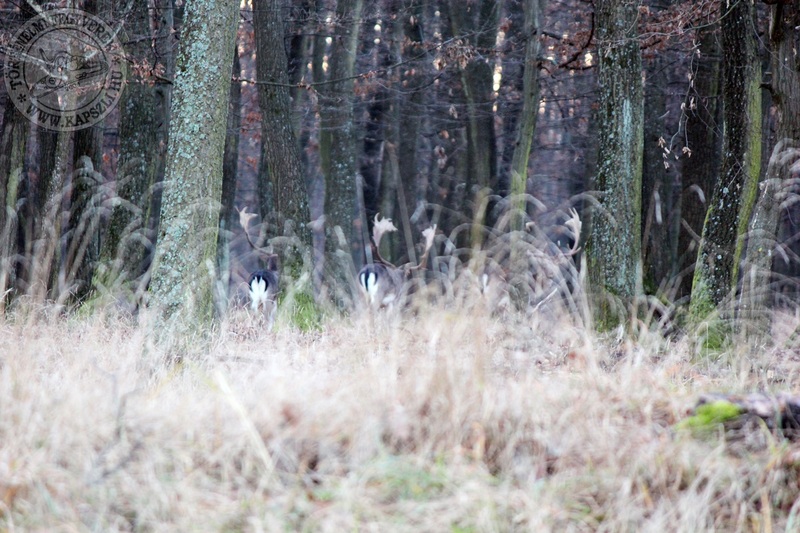 Although it was the first time to hunt big game together I have seen several times during small game hunts that they always choose the hardest positions, walk together with the firing line even in the densest bushes, they never accept the best shooting stands. I was sure that they prefer feeling the pain and sweat of stalking. And they did. 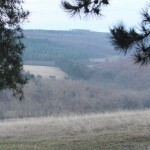 We walked a few kilometres during the two days of hunting in the forests of Gyulaj. 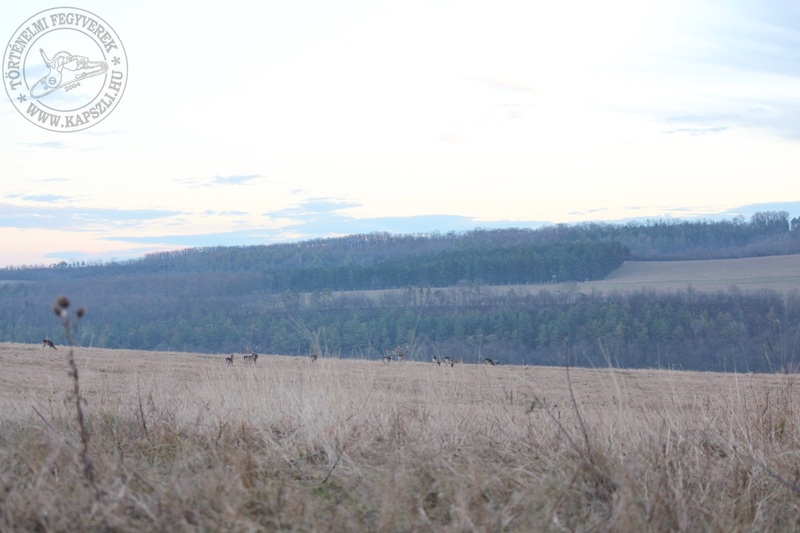 The first morning was dedicated to checking the area and the evening and next morning for hunting. 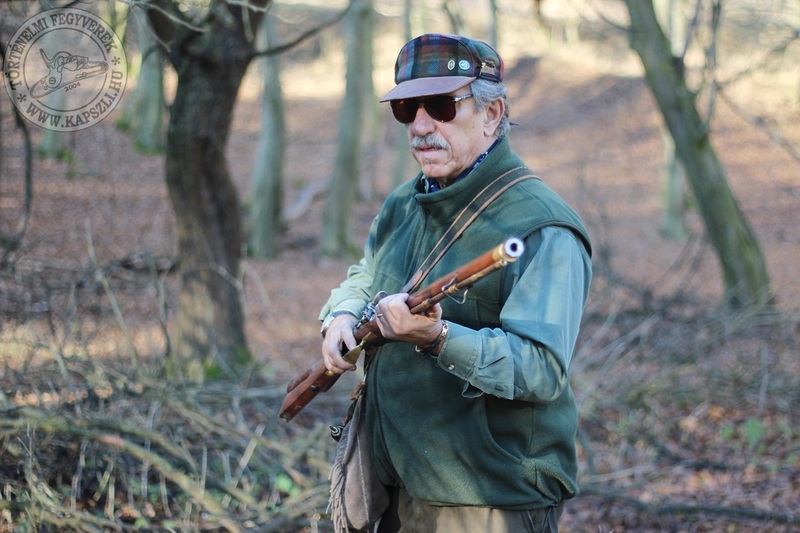 Pierangelo’s guide was Károly Csapó, one of the four professional hunters of the territory. Pierangelo’s first game was a young doe. They managed to stalk close to the game and Pierangelo fired the shot from 90-100 meters killing the game instantly with the shot placed well exactly where the heart is. 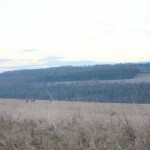 During the same hunt they crossed the way of a small wild boar herd as well. 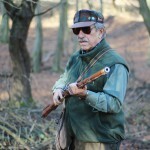 With another 100 m shot Pierangelo took one young boar with an excellent head shot placed just behind the ear. The Pedersoli ML Rolling block worked with pinpoint accuracy, while the sabot bullets did their job perfectly: both game went down immediately, without suffer. Paolo went a separate way with his guide Peter Poszpis. 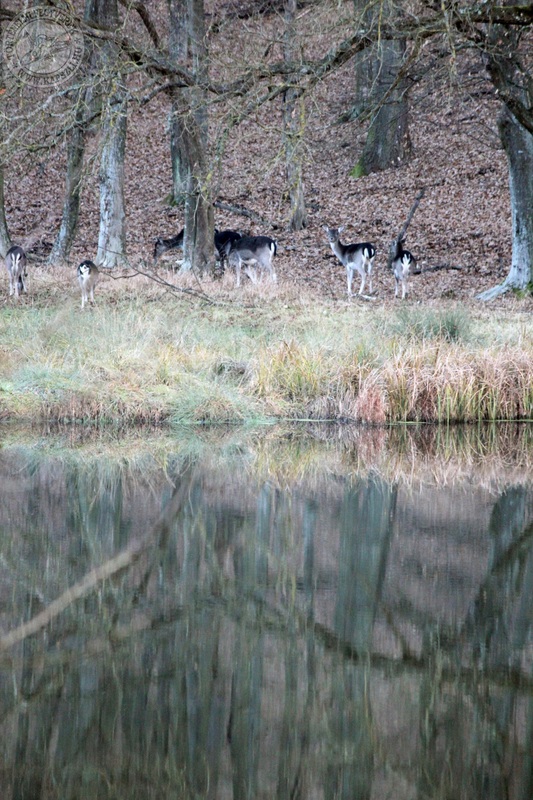 They walked all along the edge of a forest, where the fallow deer are returning from the agricultural lands in the morning. 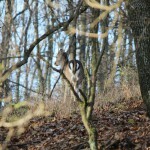 The old, original muzzleloader did not fit him well, as he made a few clear misses during this first hunt. 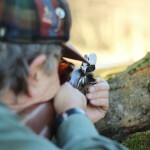 It is never easy to use an unknown rifle, even if you have a chance to test shoot it. 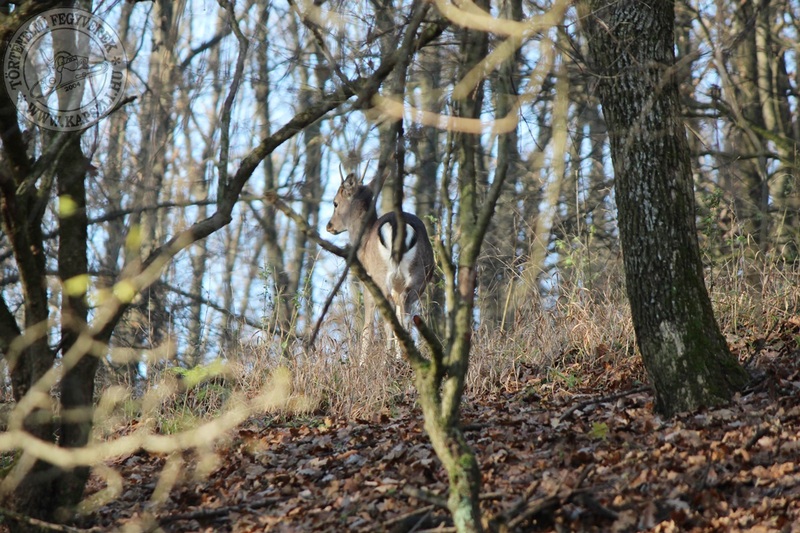 While they were stalking in the afternoon I spent the time with the Jäger rifle on a shooting stand located on the top of a small hill. 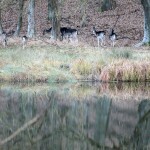 Just at the foot of the hill went the trail that the fallow deer generally use to go out for the cultivated lands to feed in the night. A good position to wait for the right game to appear. The shot was quite challenging as the possible distance was between 70-100 meters, while I had to shoot cca 40 degrees downward. Don’t forget: whenever you shoot downhill or uphill always aim a bit lower to compensate the deformation of the trajectory. 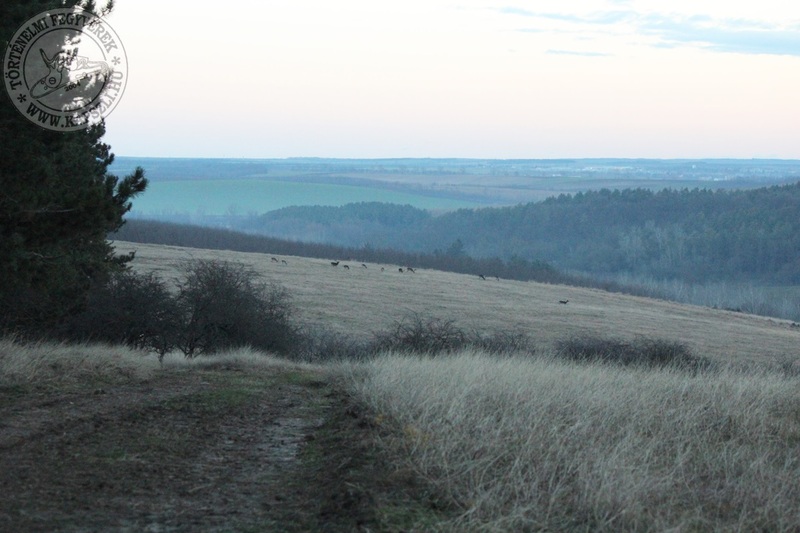 I ended the day with taking an old fallow deer doe that I watched for nearly 2 hours walking solely along the mentioned trail very-very slowly, with watching and listening to all directions. The shot went off from 85 meters. The REAL bullet penetrated right through the lungs. The game walked 10-15 meters back the wood and collapsed. In Hungary we have deep traditions for showing the respect for the fallen game. At the place where it fell, we put the last bite of food into its mouth, while we cover the place of the wound with a piece of wattle. The hunter also receives a small wattle touched to the blood of the game. This wattle must be placed on the hat, and kept there for not more than the beginning of the next day. The second part of the ceremony takes place when the hunting days are over. All the fallen game is placed in a row. This is the time to rethink the events of hunting and thank the work of all the people involved in the hunt. Both are important and essential traditions. We left Gyulaj the next morning to spend one more day in Budapest in the pre-Christmas whirl of the city. A good dinner in a traditional Hungarian restaurant, talking about future, present and past, and there goes the plane again back to our homes, to take our memories back to the family table. I was really happy to have Pierangelo and Paolo in Hungary. 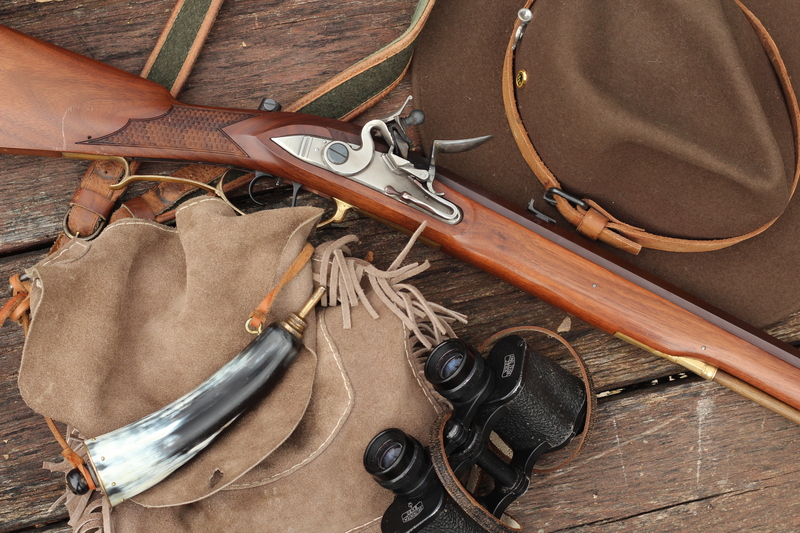 They were the first foreign black powder hunters in my country for more than 130 years. 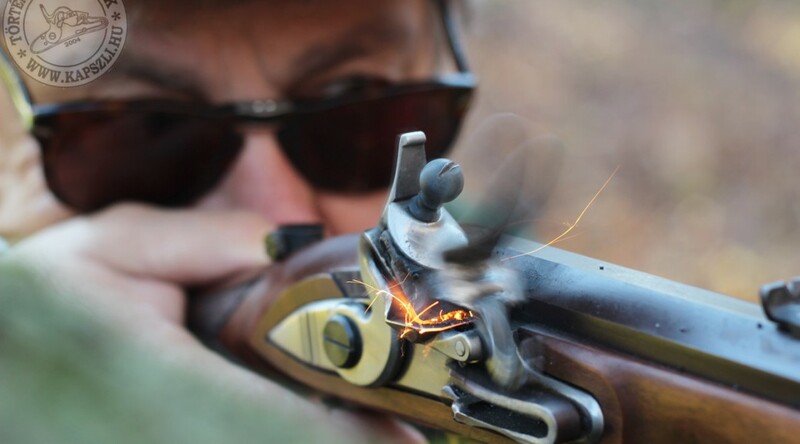 After so many years of silent work black powder hunting is happening finally in Hungary. These are the very first days, but I am sure that it is only the start of the second coming of the black powder era in our central European country, Hungary. 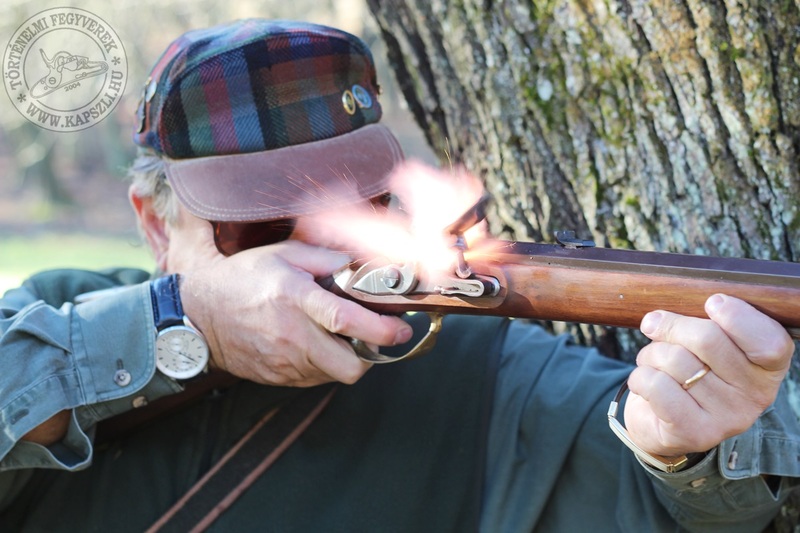 How to hunt with a blackpowder rifle in Hungary? 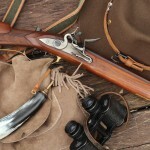 What are the requirements of the rifle and load? First of all I recommend to use enough gun for big game hunting. 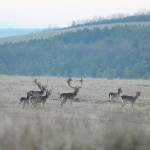 Muzzleloading guns do not require a licence in Hungary, but the muzzle energy of the load must exceed 2500 Joules for red deer, mouflon and fallow deer and 1000 Joules for roe deer. The caliber of the gun must be at least .50 and round balls are only allowed up from .54 caliber. We highly recommend keeping the shooting distance below 80 meters. 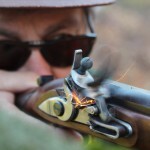 Here is a short video from one of our contributors, the Capandball channel about a simple but effective cleaning method for full stock blackpowder rifles. 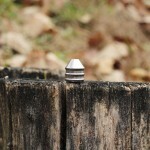 It is out of question that clay target shooting with friends is an excellent way to spend the day. And of course it adds a lot to the business if it is done with muzzleloading shotguns. 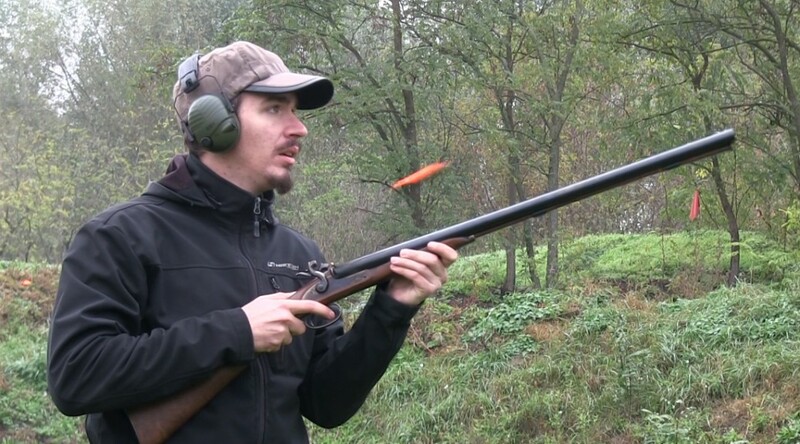 In the next video you will find a review of our Classic Doubles 12 ga Shotgun with many good advises how to develop your good load for the old double. Enjoy!